News about how our customers are innovating; and updates about Avanti’s people, products and team. How did Square One increase its sales by 10%? 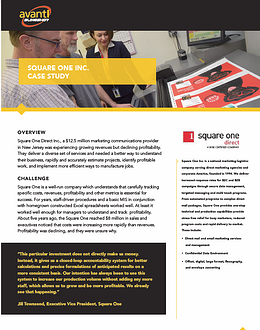 Learn how Square One, a $12.5 million marketing communications provider in New Jersey, chose to implement Slingshot and within six months saw significant returns on its investment. Since implementing, staff productivity has increased and consistent estimates have helped them generate higher sales. 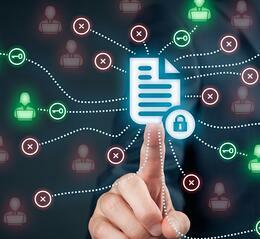 Managers are now capturing data that is more complete, detailed and accurate, allowing them to make informed decisions. You’ll find print samples at virtually every graphic arts conference. 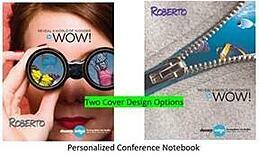 But at Dscoop Edge, Avanti has teamed up with a host of other industry-leading vendors to create a “super sample.” These personalized notebooks show 15 tangible ways in which print service providers can differentiate their business and create new revenue streams. Be one of the first in line by ordering yours before you arrive. Avanti Slingshot will track your super sample through every stage of production, and you’ll receive an email when it’s ready. You can pick it up in the Dscoop booth, then head over to the Avanti booth #142 or better yet, book a time with us and let us show you how it was done. 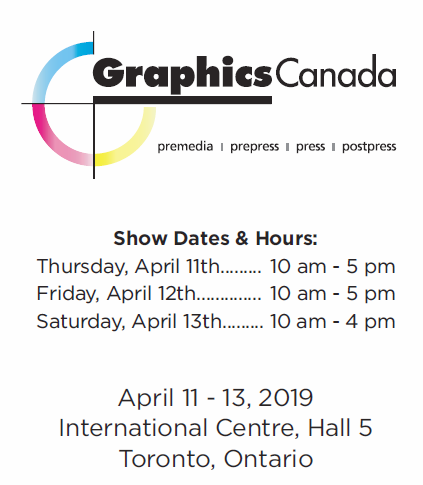 Here are your Free Passes to Graphics Canada! Register online for the 3 day event with Avanti's Promo Code for FREE - Hope to see you there! Join us on Thursday March 28th at 2:00 pm (EST) to see how the system manages raw materials in real-time, automates re-orders, increases control of finished goods, and manages low inventory reporting and tracking for various materials. 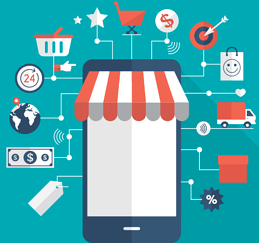 We'll provide an-depth look at the inventory management features that improve internal processes. Join us on Thursday April 4th at 2:00 pm (EST) to hear us discuss some of the key objectives when selecting a MIS system and provide tips on how to go about the selection process. We’ll cover some of the top challenges that arise when deciding on which system is best, and discuss some of the key ingredients to a successful implementation project. Over the past two decades, Avanti has developed long-term and trusted partnerships with many key technology providers. 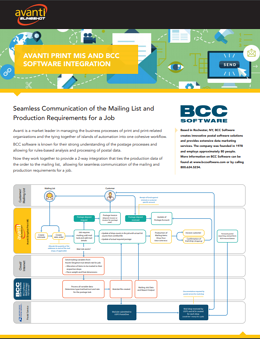 Avanti works closely with our partners to effectively deliver robust solutions to customers. View the brochures to get inspired and learn more.